Donna Groff, 70, is charged with stealing more than $250,000 from Valley Township where she worked, collecting residents utility payments. A Chester County woman fueled her QVC "shopping addiction" by allegedly stealing more than $250,000 from the town where she worked collecting cash from residents paying their township utility bills, authorities announced Wednesday. 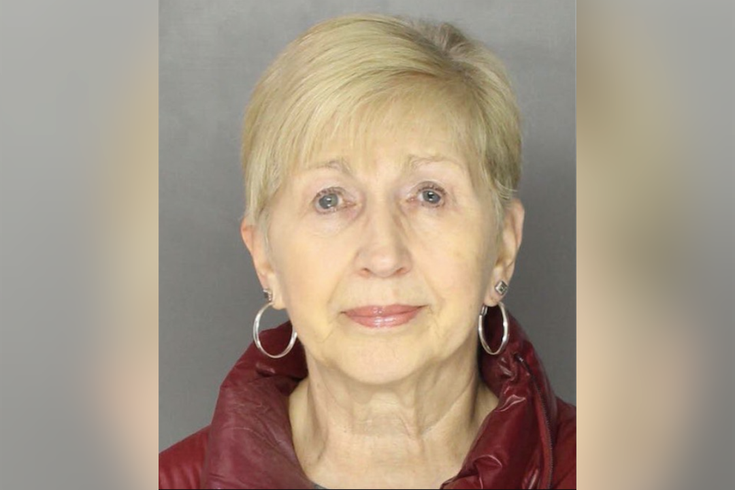 Donna Groff, 70, had served as a receptionist and secretary for Valley Township for nearly 10 years until her alleged thefts were detected by the town's treasurer late last year, according to a criminal complaint released by the Chester County District Attorney's Office. Colleagues of Groff told authorities she was a trusted and well-liked employee. Her duties included handling cash payments by Valley residents for their water, sewer and trash bills. Prosecutors said that Groff allegedly used that cash to make hundreds of transactions with QVC, as well as purchase designer clothes, jewelry, shoes, makeup, home decorations and other items. She also allegedly deposited the stolen funds into her own checking account, prosecutors said. Administrators contacted police last December after discovering discrepancies between township bank accounts and bank deposit slips. An extensive review of records and interviews showed the alleged embezzlements dated back at least four years, occurring as often as two to three times a month, investigators said. The investigation revealed a total of $264,577.87 was embezzled from Valley Township. Prosecutors said Groff, of Downingtown, allegedly would slip large sums of cash into her purse, sometimes thousands of dollars at a time, and then fabricate bank deposit slips by running folded sheets of paper through an adding machine. The font type on Groff's adding machine, which police said was unique to her office, helped township officials and investigators identify her as their suspect. When confronted by Chester County detectives, Groff allegedly admitted to the thefts, claiming she initially used the money to cover approximately $20,000 in medical and dental bills. She later told investigators she had a "shopping addiction," according to the criminal complaint. Groff immediately was fired by Valley Township and is charged with felony counts of theft, tampering with records, unlawful use of a computer and related crimes. Her bail was set at $100,000 unsecured. "Whether you are a business or government agency, you are vulnerable to fraud," Chester County District Attorney Tom Hogan said. "You must have strong oversight and robust systems in place to prevent theft. Valley Township was victimized by this trusted employee, and now the taxpayers will foot the bill." Hogan said the investigation remains ongoing and will include a comprehensive audit of Valley Township's finances to identify any other problems or systemic flaws.